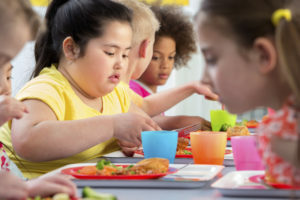 It has been a long time since 1994 – the last time the guidelines on the prevention and management of childhood obesity were reviewed. Hence, where is great excitement about guidelines from the Canadian Task Force on Preventive Health Care for the management and prevention of obesity in children released last month. What they say may surprise you. Eating foods that fight inflammation (fish, kefir, berries, seaweed), have a low glycemic load (nuts, seeds, vegetables) and support the thyroid (kelp, nuts) are just the beginning of a diet that helps children not only achieve a healthy weight, but overall health as well. Extending the positive emotional connections to family activities is another great way to manage weight. The new guidelines suggest we need to get our kids more active – and a great way to do that is by getting active with them. Only 7% of young Canadians meet the guidelines for physical activity. Not sure the kids will get off the couch to join in? Try seeking out activities that they enjoy or try a new activity together like rock climbing or indoor water polo. Still finding resistance from your kids? Tell them to bring a friend along or rotate who gets to pick the activity. Weight management involves the whole body and lifestyle: mental health, diet, physical activity and stress. An expert on it, such as a psychiatrist, nutritionist, personal trainer or fitness expert, best manages each aspect of health. Thus, it is no surprise that the Canadian Task Force on Preventive Health Care recommends that weight be managed by using a team of experts – an interdisciplinary team. A similar belief that a person’s health is influences by all of it’s parts is held by holistic nutritionist such as those at myWholeLife.com. Studies suggest that children, who have excess weight, often carry it into adulthood. Research studies have linked childhood obesity with an increased risk of cardiovascular disease and diabetes in adulthood. It has also linked obesity with an increased risk of cardiovascular disease and diabetes in adolescence – in other words our children may not have to wait until they are adults to see these diseases, they may be affected by them before they go to prom! Being healthy starts with knowing how. Increasing our understanding of obesity may be helping curb this epidemic. Estimates suggest about 32% of Canadian children (5 to 17 years of age) were obese in 2011, which is lower than the 35% in 2004. With each step we take towards a healthier lifestyle helps reduce our youngest generations problem with obesity. Successful weight management in kids starts with parents – making good choices teaches your kids how to make similar choices and lead healthy lifestyles for the rest of their lives. Having weight management information available right at your fingertips can help. Schmitt, B. Happy Customers Everywhere: How your business can profit from from the insights of positive psychology. MacMillan 2011.